This crochet stitch uses simple crochet techniques: chain stitch, single crochet and double crochet to create a 3D textured fabric with an amazing visual effect. The texture is unique and great for many crochet projects. 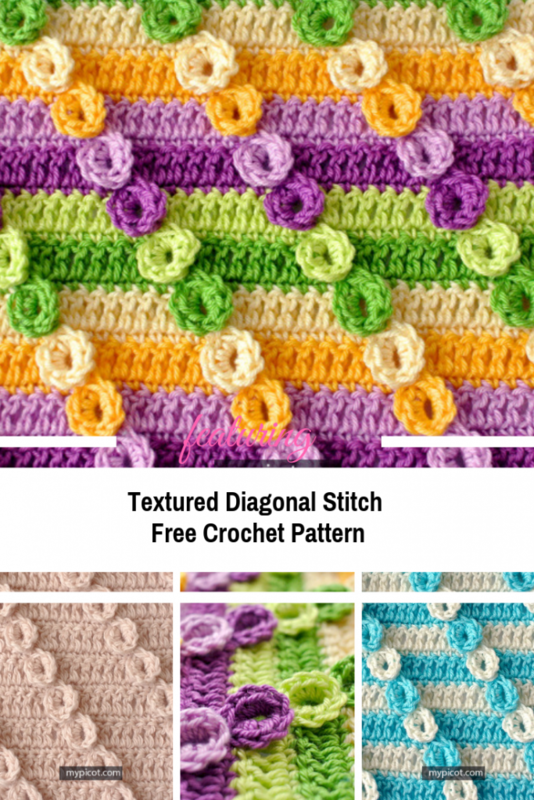 Eye catching and fun, this Crochet Textured Diagonal Stitch designed by MyPicot looks great in plain or color combinations and is perfect to create something pretty for family, friends and all your dear ones. 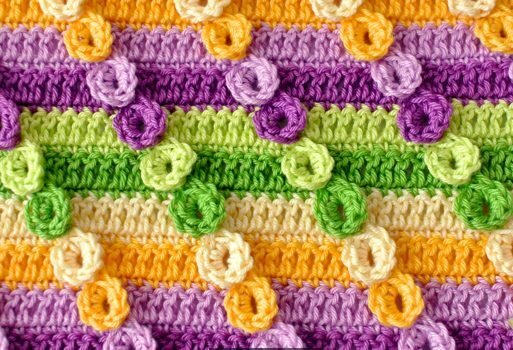 See more beautiful crochet stitches HERE.